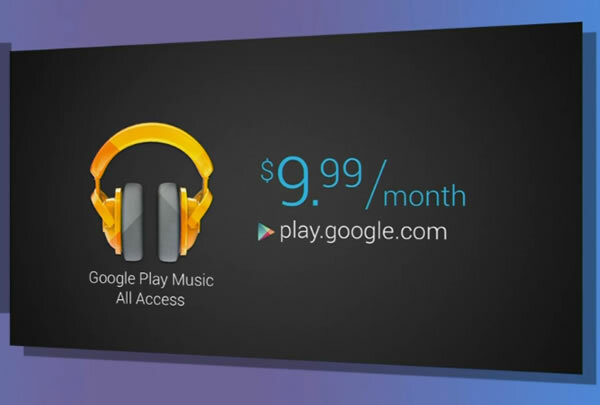 Earlier today reports from multiple sources suggested that Google is launching a music service. Google launched the same named All Access at Google I/O today. The music streaming service is similar to Spotify, it offers users on demand music streaming. It is a subscription based service and users will have to pay $9.99/ month for the service. It is build around the already existing Google Play store, the new service is centered towards personalized recommendations, users will be able to start with a track radio and then the service recommends the tracks in a never ending fashion. Users will be able to customize the tracks by removing or arranging tracks the way you like. The Listen Now feature highlights the new releases and tracks you might like. All Access will give competition to the existing apps like Spotify and Rdio, it works similar to Spotify. As expected there is no free plan, but users will get 30 day free trail. The subscription costs $9.99 per month and if you sign-up before June 30th you can get it for $7.99 per month.